Since 1975 Carolina Moldings, Inc. has been producing the highest quality index covers, tamper seals, and gas meter repair parts for American - Elster, Rockwell - Sensus, Sprague - Actaris ! 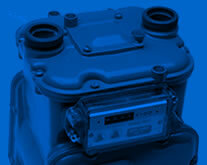 We are looking for ideas for new products that will improve meter shops or field services. Call us at 800-523-7475 with ideas. Since 1975 Carolina Moldings, Inc. has been producing the highest quality index covers, tamper seals, and gas meter repair parts for virtually every meter currently in service. Carolina Moldings broke new ground by establishing the “red plug” tamper seal as the standard for all index covers throughout the industry. Today, we maintain the same spirit of progress and forward thinking that has marked our company from the beginning.